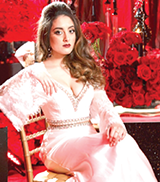 Hamda Awan, a Pakistani American, has been modeling for a few years. Hamda has always tried to find my way around life by balancing both of her cultures. She real-ized that modeling and acting allowed her to connect both worlds while staying true to herself. She loves broadening her ho-rizons and fashion sense by trying new styles and putting together pieces she normally wouldn’t, but the classic looks and details always have a special place in her heart. Being a Muslim American, she is proud to represent her background, religion and culture through the means of her talent. She has recently been reach-ing new heights with modeling and hopes to keep reaching for the stars and allowing all her craziest dreams to come true. 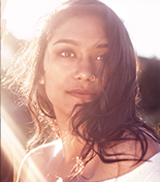 Janaki Bhagat was born and raised in Raleigh, North Carolina. She graduated from North Carolina State University with a degree in Civil Engineering and a minor in Industrial Engineering. Janaki has been a transportation design engineer for the last six years. In her free time, she enjoys volunteering at outreach events, dancing, and working out. Though not a professional model, she enjoys walking the runway any chance she can get. Janaki believes that everyone should be their own trendsetter and that your smile is your greatest accessory. Anthony Gomes, 23, is a recent graduate from North Carolina State University with a Bachelor in Science in Science Technology Society. He currently works in the technology software industry. In his free time, he enjoys painting, dancing, and photography. 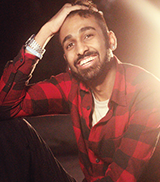 He is also trained in various forms of Indian dance including Odissi, Bharatanatyam, Bollywood, and Bhangra. 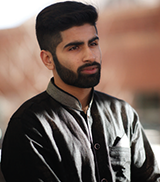 Aujay Jhala, 20, attends North Carolina State University. He is majoring in Biology with a minor in Business Administration. He currently interns at Wake County Trial Court Administrator’s Office and plans on applying to law school this coming year. Some of his hobbies include working out, playing basketball, photography, reading, and riding his motorcycle. 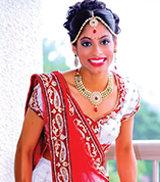 Sonia Manocha, 21, is an undergraduate student at North Carolina State University. She is a 4th year student with a Major in Human Biology and Minors in Psychology and Nutrition. Sonia is currently a technician intern at Wake Endoscopy. Her hobbies including dancing, playing guitar, and traveling. Along with these hobbies she has always had a passion for modeling and fashion. She believes you can gain strength, courage, and confidence by every experience in which you really stop to look fear in the face. Disha Naik is a senior at East Carolina University. She is obtaining a Bachelor of Science degree in Public Health with a concentration in Pre-Health Professions. 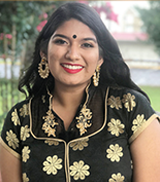 Disha is graduating in May 2019 and plans on furthering her studies by obtaining a Masters degree in Public Health as well as a Masters of Science in Physician Assistant Studies. Her aspirations are to one day be able to write public health laws on mental health education and serve as a Physician Assistant in a rural area. When she is not in class, Disha enjoys spending free time with friends. 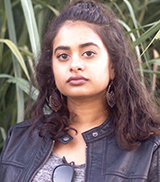 Bindiya Patel is a junior at East Carolina University. She is majoring in Public Health Studies with a minor in composite science. Bindiya plans on attending graduate school to become a physician assistant after getting her bachelors degree. She also works an office job at her university and as a biostatistic and nutrition at the tutoring center. 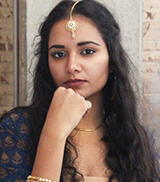 Additionally, Bindiya is a chairman for ECU’s chapter of She’s the First, a nonprofit organization that advocates for girls education in developing countries. 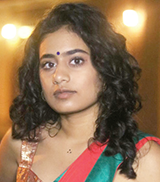 In her free time Bindiya loves to dance, travel, and spend time with her family and friends. 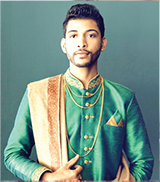 Hamel Patel is an Indian-American model and creative artist. She spends most of her time creating content for her Instagram platform. Her work is featured across many publications like Buzzfeed, Cosmopolitan, Hindustan Times, Teen Vouge and many more. She has also been published in magazines such as Maxim India and Must Be Kismet. Hamel has built her influential platform on various creative mediums, which she uses to spread the word on social issues in the community and inspires others to do the same. Her goal is to break social standards and barriers for young women around the world. Khusbu Patel is a senior at East Carolina University in Greenville, NC. She is grad-uating in May with a Bachelors of Arts in Biology with a Molecular/Cell concen-tration and a minor in Science. Khusbu plans on getting her CNA and clinical hours before getting her Masters in Sci-ence in Physician Assistant Studies. When she is not in class, Khusbu works on cam-pus with ITCS. In her free time she likes to play with her cat, go shopping, hang out with friends, or read a good book. Julia Perniciaro, 17, is the youngest of six children. She has been homeschooled for most of her high school career and will be graduating from Liberty Online Academy in May 2019. In her free time, she enjoys singing, thrifting, and spending time with friends and family. She has been modeling since she was fifteen and has assisted her mother in her wedding hair business for just as long. Neil Ramlal is obtaining a dual degree in Accounting & Business. He plans on obtaining his CPA license and working in an accounting firm when he graduates. Neil would also like to open his own business, one that is located near a major university thus allowing students to obtain jobs while going to school. Neil enjoys spending his free time with his friends and eating Anita’s tacos.